The stem cells from your child’s umbilical cord are unique. They are particularly young and viable - and easy to extract. Stem cells are a valuable source material for medical cell therapies. Every seventh person will need stem cells for the treatment of diseases. Stem cells take the center of scientific research. Clinical studies conducted worldwide constantly test and introduce new therapeutic options. Stem cells from the umbilical cord have an almost unlimited life. Cryo-preserving them maintains their valuable properties. Stem cells from umbilical cord blood are being applied successfully. Today, they help in the treatment of more than 100 diseases. Stem cells are the building blocks of life. They control the regeneration and repair in case of injuries and diseases. Thus, they accompany us throughout our whole lives. Stem cells make sure that our bodies are able to regenerate for a lifetime. They tend to divide less and less during the course of our lives and the ageing process becomes visible. The best time to secure stem cells is at birth. Hello. You have a question? These are some of the questions we are most frequently asked. If you do not find what you need, please contact us. Can parents and siblings benefit from the stem cells? In general, yes. The key is that the tissue characteristics have to correspond similar to organ donation. Dangerous rejections after transplantation do not occur only when the tissue characteristics of donor and recipient match. The probability that the umbilical cord blood matches the parents unfortunately is only about one percent. The chances of treating a sibling with the umbilical cord blood are clearly better. There is a probability of 25 percent that the tissue characteristics match. In case the umbilical cord blood is applied within the family, Vita 34 will determine the necessary HLA characteristics. What happens if my child needs stem cells? Vita 34 has an in-house laboratory that is occupied every day, and a reliable courier available around-the-clock. When time is of the essence, we transport the stem cells within a few hours to any hospital in Germany – as a matter of course after the umbilical cord blood was tested again. In most of the cases, however, in which Vita 34 cord blood has been applied so far, we were in touch with the parents and the doctors in attendance for several months before the date of the stem cell transplantation was scheduled. Is it difficult to collect umbilical cord blood? No, quite the contrary. It is exactly the simple and risk-free collection that makes umbilical cord blood such an interesting source of stem cells. 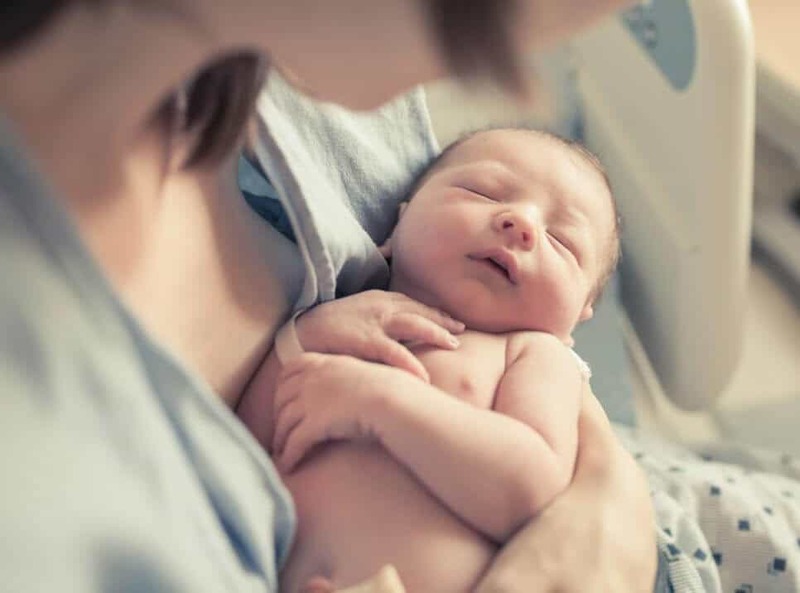 After your baby is born and the umbilical cord was cut, the blood is extracted from the piece of umbilical cord that is still connected to the placenta. Mother and child do not feel anything. Is the collection of umbilical cord blood possible everywhere? Umbilical cord blood can be collected in Germany only after the delivery team was trained personally on location by the related umbilical cord blood bank. Vita 34 has organized trainings all over Germany and owns the associated official license. Therefore, the collection of umbilical cord blood is possible at almost any maternity clinic. What are Vita 34’s experiences? Vita 34 was founded in 1997 and is therefore most experienced in the field of stem cell storage in Germany. About 215.000 stem cell preparations have already been prepared at our laboratory. We developed many of the methods and procedures that are standard these days in Germany.